Basic structure: In order to reach high stability and quality, main structure is made with the help of high level casting. 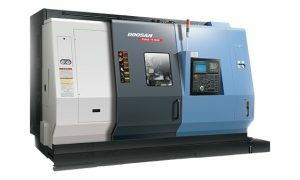 Machining area: The best in class spindle motor power and turning area that makes it optimized for the heavy duty cutting for mid-to-large sized parts. Various machine line up and wide range of machining: To meet the variety of customers industry, PUMA 4100/5100 series has total 36 models with a variety of spindle and working range. 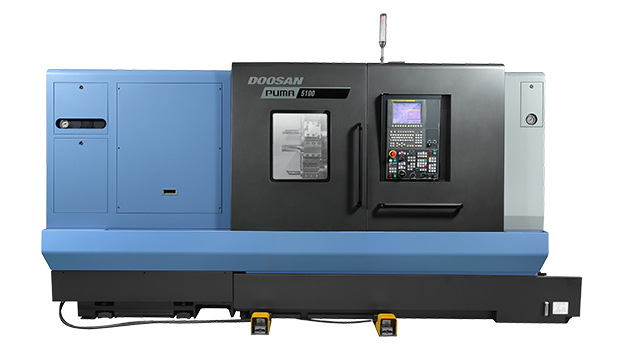 Spindle variation to meet various needs: PUMA 4100/5100 series has various spindle through hole up to 275mm(10.8 icnh). 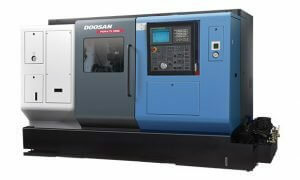 Both high capacity spindle of up to 45kW (60.3 Hp) and 2 step gear box ensure unrivalled power and machining capacity. 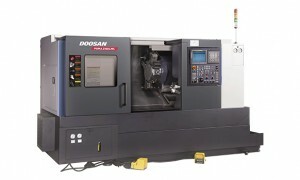 Tailstock: High rigidity of hydraulic tailstock is available as standard to provide stable support of long workpieces. Proven quality of tailstock supported by hardened and ground boxed ways is structurally one piece with the machine base to ensure the best structural rigidity. Its rigid quill support heavy work pieces while maintaining machining accuracy. Turret: Servo driven turret has enhanced customer satisfaction and trust through a faster and more stable rotation of the tool station. Servo driven turret: The 2 axis ( for Turning) machine with 10 or 12 station turret depending on the model, while M/Y-models are equipped with 12 station turret.